Large square acrylic box. 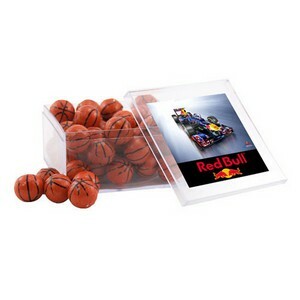 Filled with Chocolate Basketballs. Bulk packed.